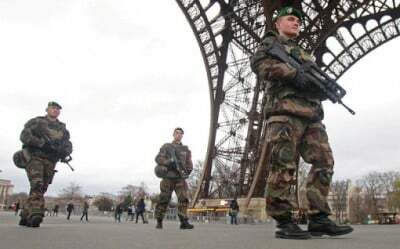 France is not alien to the notion of emergency powers. The French revolutionary state was very much an ongoing child of emergency, one safeguarded by the notorious and suppressing parent known as the Committee of Public Safety. In such swaddling clothes, it was inevitable that concepts of siege and crisis would be woven into the Republic’s legal political theory. In time, French law came up with the concept of état du siège (state of siege), which only superficially shares ties with its Anglo-American cousin, martial law. Its motivating force is that of emergency. The current French legal system can resort to three sources of emergency powers. The French Constitution of 1958 and the statutory law of May 3, 1955 (Public Law 55-385) provide two of them. The use of enabling laws characterised by delegations of vast power by parliament to the executive arm of government has also been another historical measure used. The May 3, 1955 law was invoked by President François Hollande in declaring a nationwide emergency which came into effect the midnight of November 14, a state of affairs that promises to last for three months, with possible extension. It is notable for covering the entire country, going beyond Jacques Chirac’s 2005 emergency measures to combat mass riots, which were more localised. The President may, in consultation with his Council of Ministers, declare a state of emergency in cases where “grave attacks on the public order” arise or where there is demonstrable “personal calamity”. There was no preliminary constitutional review. Much like the Patriot Act passed in the aftermath of September 11, 2001 attacks on the US, combing scrutiny was the last thing on the minds of France’s political establishment. The French Parliament voted 336 to 0 to adopt the law, with 12 abstentions. The National Assembly’s figures acme in at 556 to 1, with 1 abstention. The function a state of siege declaration is one of transfer from formal civilian authorities to those of a military nature. Parliament effectively divests itself of keeping order by granting it to security authorities, or what is otherwise termed those powers concerning the “maintenance of order”. The state of emergency, however, sees the transfer taking place upon civilian based police authorities, which gives the somewhat deceptive impression that martial law has been entirely avoided. As the historical record shows, this transfer of power to military or police authorities has taken different forms, notably in the Algerian context. The 1955 law came into effect to exert control over the press and insinuate the security establishment into the judicial system during the FLN insurgency. The French State proper has witnessed a few such dramatic measures. On August 2, 1914, in anticipation of what would be imminent conflict, a state of siege covering the entire country by presidential decree was passed. It was one which was further prolonged “for the duration of the war” by a law three days later. The lead-up to World War II in 1939 saw the use of enabling laws to facilitate what were, essentially, expansions of state power in times of crisis. The move by Hollande, one that sits comfortably within the more conservative ranks of French politics rather than the Socialist creed, is itself exceptional in that regard. It is not a measure that will not sit well with individuals in the legal fraternity concerned that a mammoth razor for civil liberties is being readied. Whether such rights have such flexible survival properties is open to doubt before the dictates of the police state. The government has already shown such a streak by banning demonstrations on public roads in Paris while closing stadiums, cinemas and various public facilities. And for such a robust response, France, no longer exclusively sovereign, operates within a European framework of human rights its officials sometimes find inconvenient. The expected counter-argument will go that a State, placed under such strain, can engage in certain permissible rough conduct short of violating the non-derogable rights (life, torture). Heeding a few of those concerns, the drafters felt that “all measures to control the press and publications” would be dropped, and military tribunals not authorised. An oversight measure, making the government accountable to Parliament for actions during the state of emergency, has been included. But these shy away from the most significant changes that have changed Madame Liberty into Madame Counter-Terrorism. The law itself permits a range of restrictions: targeting rights of assembly (disbanding groups and associations); controlling public movement; imposition of curfews; conducting warrantless searches around the clock (though not those concerning parliamentary duties, lawyers, magistrates and journalists) and initiating house arrests as long as the government has “serious reason to think that the person’s conduct threatens the security or the public order”. Violations can lead to prison terms not exceeding two months, a fine amounting to 3,750 Euros, or both. The government also shows itself to be an enthusiast for electronic searches which were not covered by the 1955 law. Computer systems or devices found on premises may be accessed in their entirety, including cloud data. In the same technological vein, controlling the Internet takes centre stage, with the Minister of the Interior empowered to take “any measure” to block social networks and sites “inciting or glorying terrorist attacks” outside the ambit of judicial scrutiny. This goes one step further than the previous year’s anti-terrorism laws, which permit the blocking of internet sites, but only after a request is made to the ISP to restrict access on their own volition. The looming question in such instances is whether security goals can be achieved under existing laws rather than invoking extreme measures that have the effect of slamming the effigy of accountability against the wall. Previously intrusive measures have failed to keep the terrorist genie in the bottle, let alone detecting its escape. Concentrations of power in a few offices at the expense of others tends to repel scrutiny and conceal breaches. It is precisely that pattern that should be feared, however grave the threat posed is deemed.